The Red Clay Courts are open for the 2018 Season. 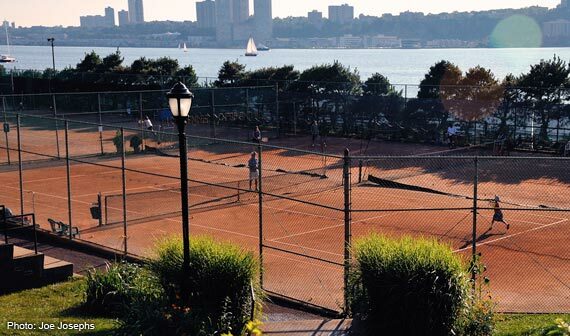 Check out the discount rates availalbe for court time and programs (junior and adults) at the Cary Leeds Tennis Center in Crotona Park, Bronx. You must be a 2017 RCTA member to be eligible to take advantage. Information can be found here. Suppor the public red-clay tennis courts. Please consider the RCTA in your end-year giving. You can make a tax-deducible contribution here. It's quick, easy and secure; and it will help in so many ways - purchase new brooms and brushes for opening day next spring, provide scholarships to summer camp and spring programs, feed Scaredycat over the winter, purchase new windscreens. A limited number of reservations are available online. Otherwise, courts are assigned on a first-come/first-serve basis. 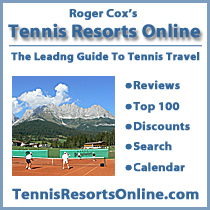 See Playing on these courts for full details.